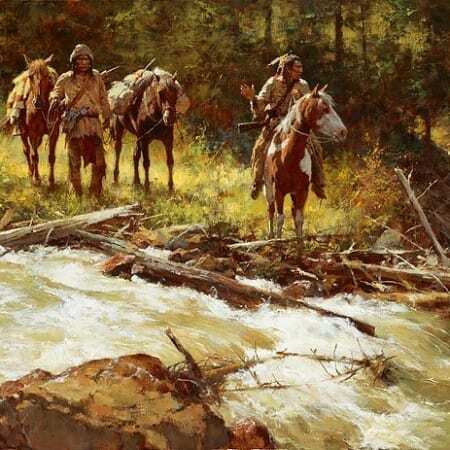 View cart “Crossing Medicine Lodge Creek” has been added to your cart. 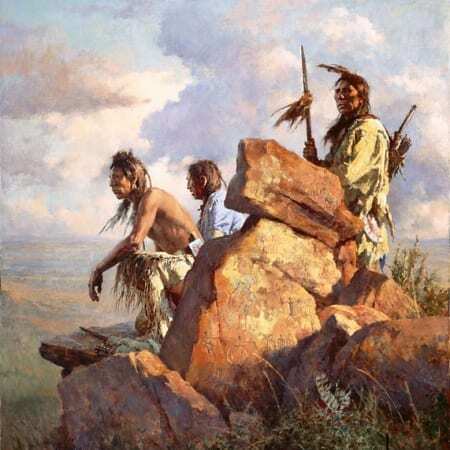 As time progresses, the everyday life of the Plains Indian in the 18th and 19th centuries becomes more and more of an ever-fading memory of what used to be ordinary life. 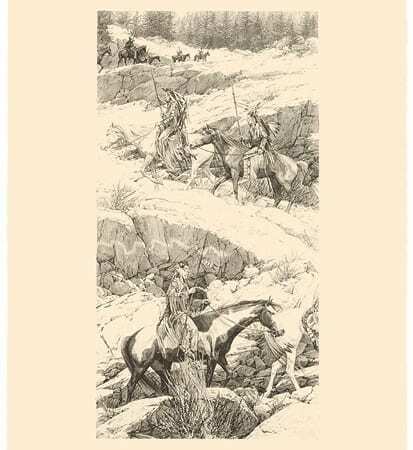 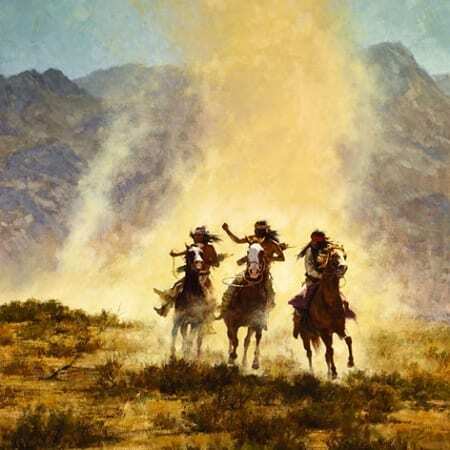 In The Trackers, Howard Terpning paints two warriors who are following game or people, we are not sure which, but because the men’s hands are not on their bows, we have the idea that there is no imminent danger. 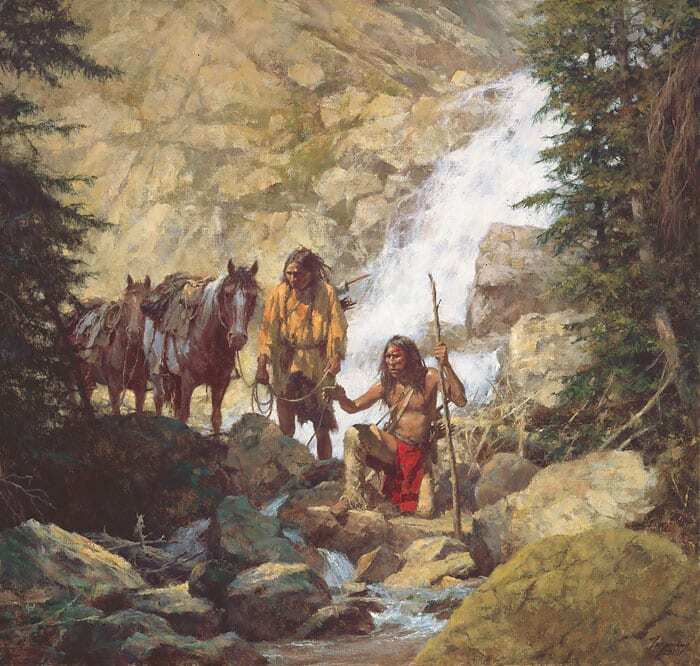 They read signs upon the rocks; make judgments based upon small, almost invisible clues; and live their lives in a way that they never imagine will eventually so drastically change.